AN IMPENDING autonomous vehicle trial in Adelaide, Australia, this December sets itself apart from other such initiatives by incorporating an interactive ‘bus stop’ that can communicate with hearing-impaired commuters via movement recognition. 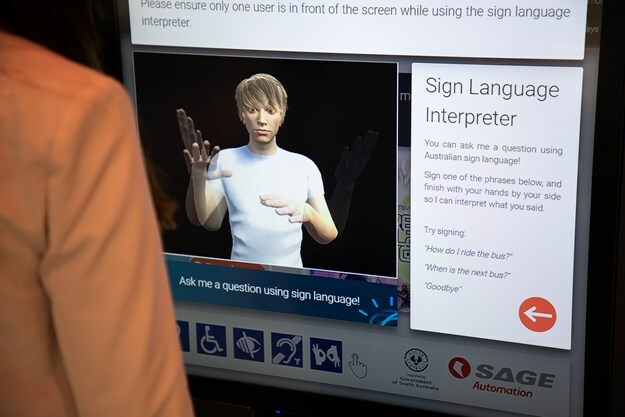 Hearing-impaired users can sign (language) to find out travel information. 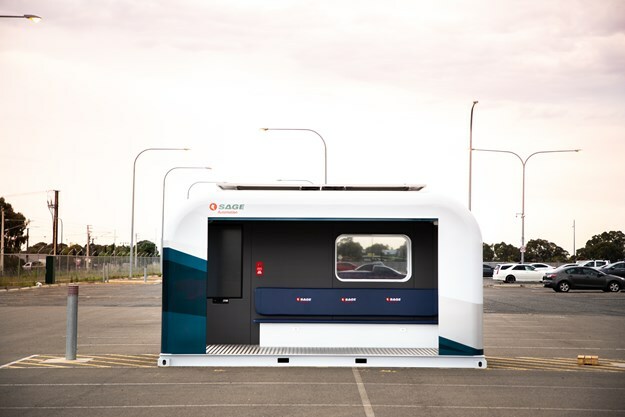 The sign-language-ready Matilda ‘smart bus stops’ are the first of such features to be used in an Australasian autonomous vehicle trial, which is to run for six months along the Glenelg foreshore in Adelaide. Yet while much will be made of such a difference being due to their very inclusion - which will see an autonomous ‘Olli’ pod vehicle commute between the two - it is perhaps its ability to use computer vision and gesture recognition technology that is the greatest indicator of how future bus stops worldwide will, and need to, function. November testing has seen experts run the service to map out an effective route along a shared path called the South Esplanade between the Stamford Grand forecourt and the Broadway Kiosk, which is where the Matildas (originally called OilliStops) will be placed. 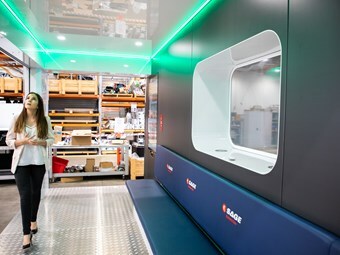 Local Adelaide company Sage Automation is spearheading the trial in partnership with the city of Holdfast Bay, America-based Olli manufacturer Local Motors – employing some of the latest 3D-printing techniques for mobility solutions – and the South Australian Government, which is funding it via its Future Mobility Lab Fund. A spokesperson explained to ABC magazine that at this stage the trial is strictly just for the six-month period with no definite plans to extend it, nor conduct ‘Olli trials’ elsewhere. According to the spokesperson the trial is simply to see how such autonomous vehicles can be made to interact with the community, given its range of safety aspects that includes having a ‘safety operator’ on board. 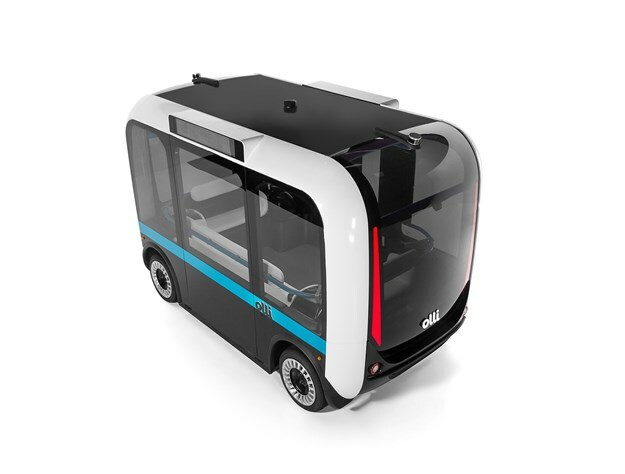 The Olli pod – which itself is interactive using IBM Watson technology (enterprise-ready AI services, applications and tooling) – will be travelling at what can be described as a ‘slow walking pace’. 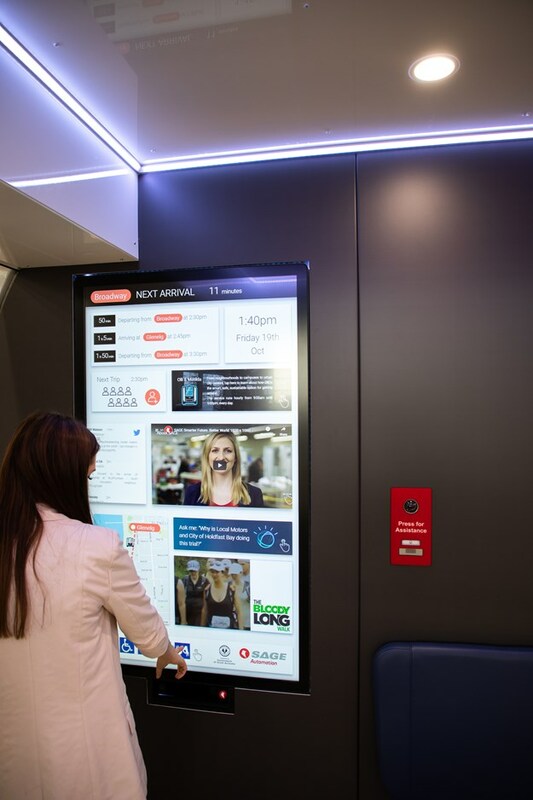 Locals can travel on it by booking a free trip via one of the Sage Automation Matilda stops. While there will be detractors of such technology and critics of these types of trials’ expenditure, the interactivity certainly gives the bus industry a good insight into how such bus stops and public transport locations will, or must, function in future. 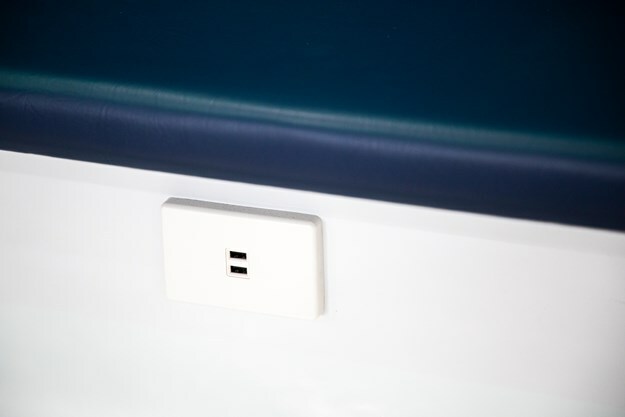 Designed by Sage Automaton, it says that Matilda is more than just a shelter, it is a transit hub that can source a connecting tram schedule, allow users to book an Uber, locate the nearest bicycle hire station or schedule a ride on an autonomous shuttle. 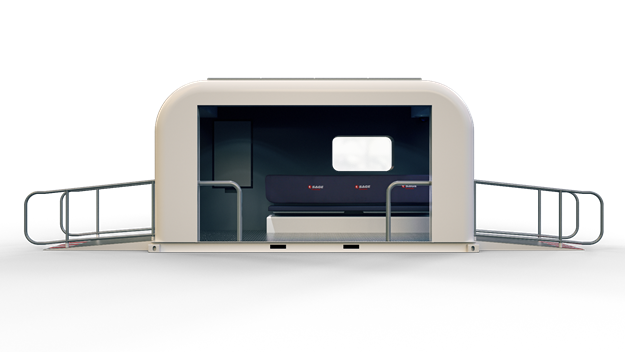 Built to be relocatable within a few hours, the shelter runs on solar or battery power and is fully self-contained. SAGE says that authorities can trial different ‘first’ or ‘last mile’ locations, or put additional transport in place for major public events.